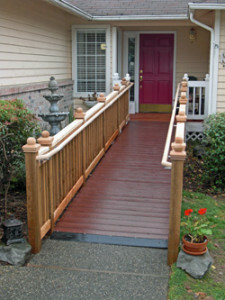 Barrier Free Plus, Inc specializes in ADA Compliant Wheelchair Ramps in Michigan. Let our experts design and install a professional Wheelchair Ramp in Michigan. Call (586) 598-2600 today! The following will give you more information on the ADA (Americans with Disabilities Act) federal building codes for modular wheelchair ramps and the like. Your local building code may have its own variations so always check your local building codes as well before you plan to build a wheelchair ramp. Before you plan to build a wheelchair ramp system it is a good idea to become familiar with the ADA codes. We have put together this information in an effort to help you in learn more about the ADA codes and how to comply with them.  See our Knowlege Base for more helpful articles. ADA’s regulations are issued and enforced by both the Department of Justice and the Department of Transportation. The Americans with Disabilities Act Accessibility Guidelines (ADAAG) of the U.S. Architectural and Transportation Compliance Board (ATBCB) require public facilities and grounds to comply with design, construction, and installation standards. Although not binding to personal residences, these standards should be taken into consideration when purchasing a modular ramp. Where do modular ramps come in? Barrier Free Plus, Inc provides the design and installation of ADA Compliant Wheelchair Ramps in Michigan. Our experienced team will provide you with the perfect Wheelchair Ramp in Michigan. Call (586) 598-2600 for more information.